JMS has been conducting scientific, seaworthiness and safety inspections aboard University-National Oceanographic Laboratory System (UNOLS) research vessels since 1997. With a strong emphasis on continuous improvement, the inspection program ensures that the ocean-going scientist can safely and efficiently conduct research at sea. 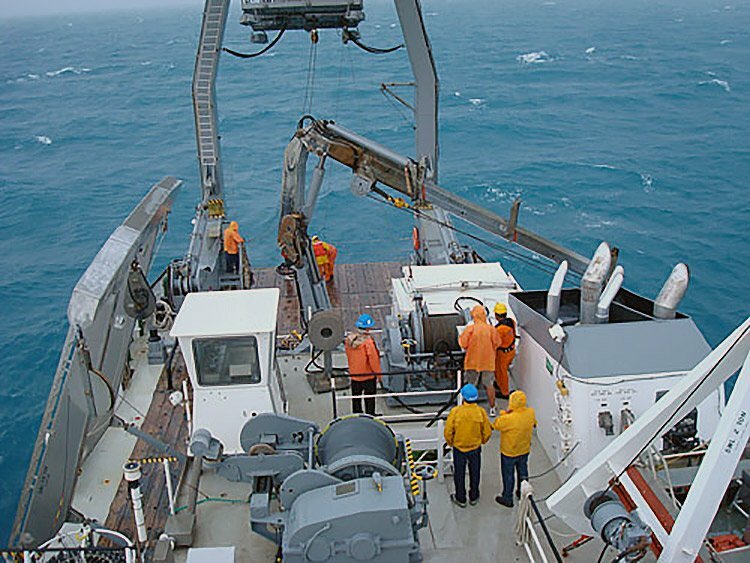 UNOLS is a consortium of 61 academic institutions with significant marine science research programs that either operate or use the U.S. academic research fleet. The 22 research vessels in the UNOLS fleet stand as the largest and most capable fleet of oceanographic research vessels in the world. The vessels range in size from 70 to 280 feet. The UNOLS fleet provides the platforms on which the bulk of U.S. oceanographic research is performed. JMS provides a cross functional team of 3 inspectors to survey the scientific equipment, hull, mechanical & electrical systems, safety equipment, training, operational procedures, and shared-use equipment. The two day inspection includes one day pierside and one day underway exercising all oceanographic systems. The sea-going scientist is the end user aboard UNOLS vessels and the inspections must ensure that the ship can serve the science mission effectively and safely. This past year JMS has conducted inspections aboard the NEW HORIZON and ROBERT GORDON SPROUL at Scripps Institution of Oceanography, the WECOMA at the University of Washington, the ATLANTIC EXPLORER at Bermuda Institute of Ocean Sciences and the CAPE HATTERAS at Duke University Marine Lab. JMS personnel have unique qualifications related to research vessels. Our inspectors are degreed naval architects, maintain merchant marine licenses as appropriate, and have extensive experience surveying the UNOLS fleet and other research vessels, uniquely qualifying them to perform scientific, seaworthiness, and safety inspections for the National Science Foundation.